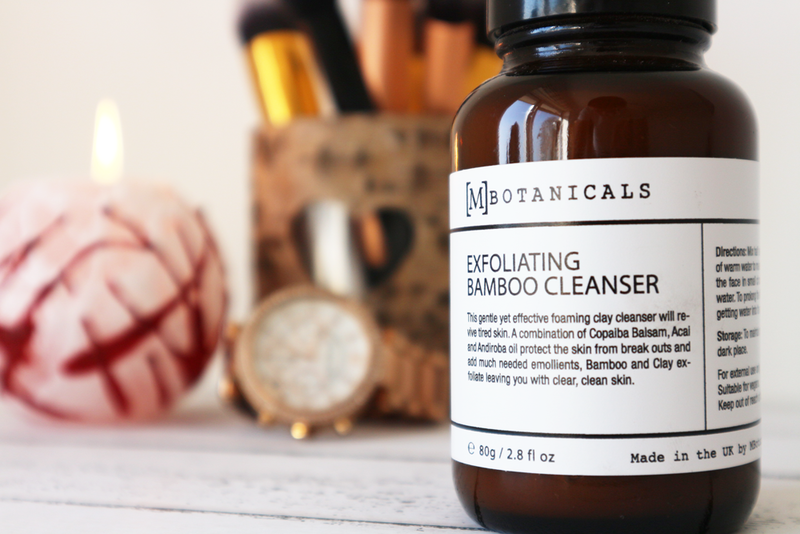 A few weeks back I was kindly gifted the Exfoliating Bamboo Cleanser from M Botanicals. The cleanser claims to Revive tired and dull skin – Bamboo and clay mechanically exfoliate while strong plant based actives of Copaiba balsam, Acai and Andiroba help the skins ability to protect itself against hormonal breakouts. Natural fruit acids exfoliate and unclog pores bringing about a revived and smooth complexion. The first thing about this cleanser which took me by surprise is that it it’s a powder. Instead of a liquid, you mix half a teaspoon of the powder with some water to create your own paste. Although a bit of a pain I soon worked out the nack of this – using it in the shower certainly ends up in less mess as long as you don’t get any moisture inside the jar!! Using this has certainly been a switch up in my routine – I’ve been stuck to my gentle cetaphil routine for a while now, but it’s been nice to have a change. 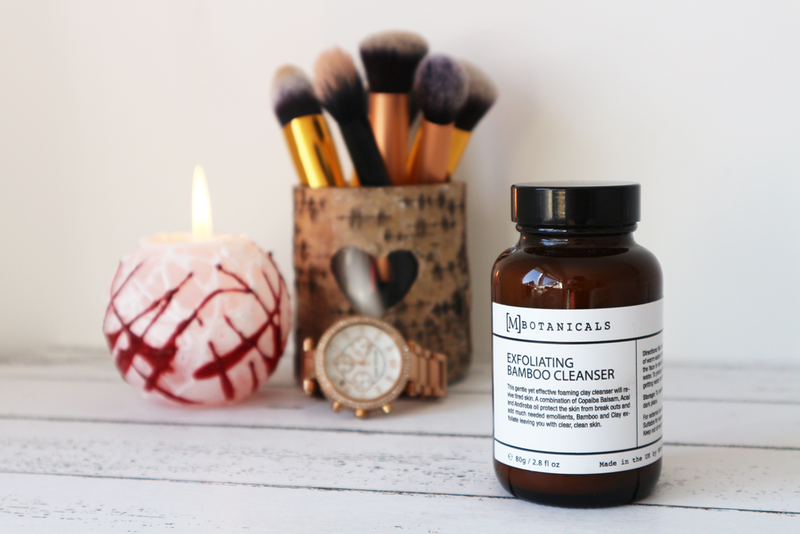 I definitely agree with the exfoliating nature, my blackheads have certainly minimised massively – I think something a bit more ‘gritty’ which this cleanser is, is just what I needed. I’ve only had one or two breakouts since using it, which is the norm for my skin, but I do feel as though with continued use this could keep those breakouts at bay, apart from those pesky time of the month nasties that will always crop up regardless! I am loving using this product, it’s just whether I can get over the mess of the powder formula! Time will tell if it’s worth it or not!